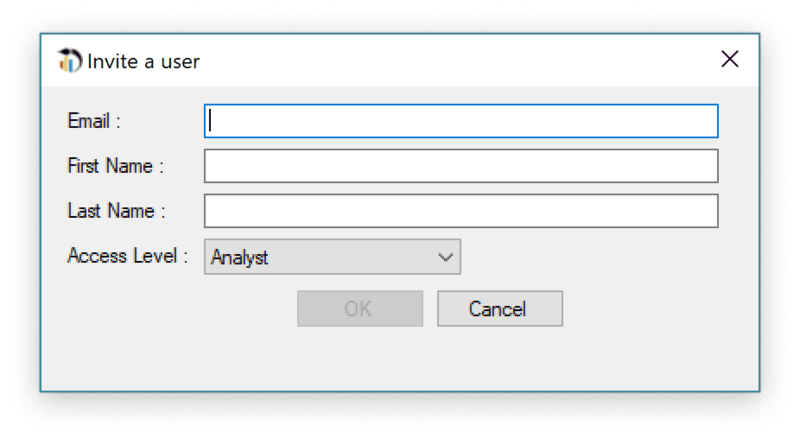 Select the Users and License Management tab. To remove an existing user, simply click "Revoke Access" next to the user's name. This will cancel their license key and revoke their access to your subscription. To add a user, click "+Add User"
Enter the email address, First and Last name of the new user, choose an access level, then click "OK" to send them an invitation. Administrators are able to add/remove users and can see and access any Cloud Automation packages or Data Sets created by users within the subscription. Analysts can only see and manage their own automation tasks and data sets. Once you click "OK", an email will be sent to the addess that was entered. 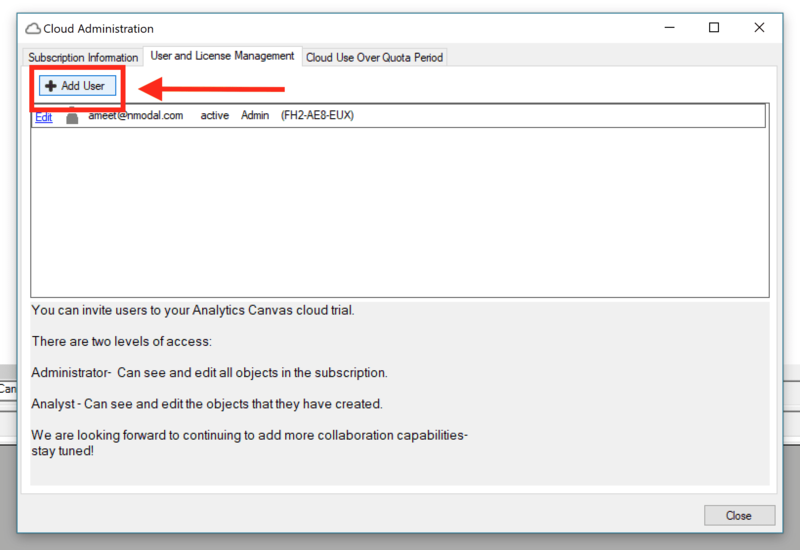 Ask the user to look for an email from "Analytics Canvas <cloudusernotification@analyticscanvas.com>" containing their license key.